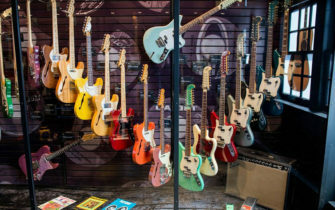 Pink Floyd singer and guitarist, David Gilmour, will be auctioning off more than 120 guitars. The sale includes his famous black Fender Stratocaster, with all proceeds going to charity. 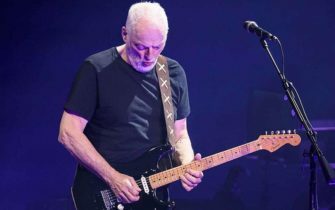 David Gilmour, singer and guitarist from the hugely influential band Pink Floyd, is set to auction off a massive collection of guitars, including his iconic “Black Strat”. “Between 1970 and 1986, The Black Strat was Gilmour’s primary performance and recording guitar, and was key to the development of the Pink Floyd sound. Given its provenance, this particular guitar is expected to fetch between $100,000 and $150,000. The highlights among the other guitars include a variety of Stratocasters, a ’58 Gretsch White Penguin and a ’55 Gibson Les Paul. For more information on the auction, visit Christie’s.